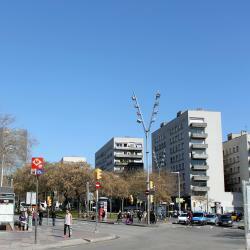 Looking for hotels near Barcelona Zoo? 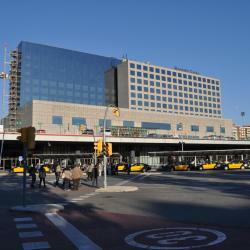 Hotel Oasis is located just 820 feet from França Railway Station and 328 feet from Barcelona’s Born district. 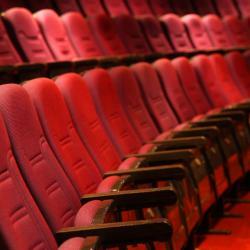 The modern, air-conditioned rooms have satellite TV and private bathrooms with hairdryer. All reception staff were very efficient, helpful and friendly. The hotel is kept very clean. Located in Barcelona’s trendy Born district, Park Hotel offers stylish accommodations just 10 minutes' walk from Barceloneta Beach, opposite to Estació de França Station. Great location. El Born beats La Rambla for ambience and neighbourhood feel. Featuring beautiful, stylish rooms Hotel Ciutadella Barcelona has an ideal central setting within 320 yards of Santa María del Mar Church, Ciutadella Park and Barceloneta Metro Station. Near to Teide Mountain and Tenerife Sur airport. Very clean and balcony with see view. This elegant hotel is set in Barcelona’s Gothic Quarter, in an impressive, colonial, stone building with a clock tower. 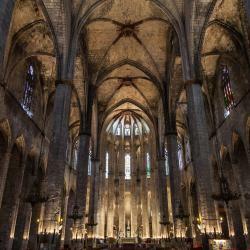 It is a 10-minute walk from Barcelona Cathedral and Barceloneta Beach. Everything was as i expected and as shown on booking. This family-run hotel is situated next to the Borne district and across from the Ciudadela Park, approximately a 15-minute walk from Plaça Catalunya and Las Ramblas. Everything was awesome! Really enjoyed our stay! Set in the traditional, fishing district of Barceloneta, next to the central city beach. This hotel provides value and practical accommodation, ideal for those traveling on a budget. Very well located, friendly stuff, comfortable room. Super clean! 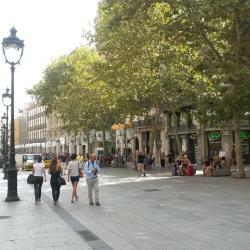 Chic & Basic Zoo is in El Born, now one of the most fashionable and cosmopolitan districts of central Barcelona. The staff was wonderful and very helpful with all of our questions and needs. 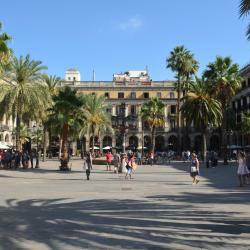 Ciutat de Barcelona is in Barcelona’s Gothic Quarter, just 328 feet from the Picasso Museum. Close to lots of bars, restaurants and attractions. Perfect location in the Gothic district. People are talking about Barcelona Zoo! 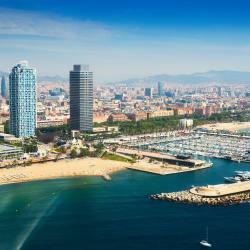 Explore guest hotel reviews featuring "Barcelona Zoo"